Government employees often have rights and protections not afforded to employees in the private sector. The procedures for asserting your rights as a government employee are also very different. Retaliation if you oppose discrimination, file a complaint of discrimination, or otherwise participate in the EEO complaint process. In order to enforce your rights as a federal employee, generally, you must complain of discrimination to your agency’s Equal Employment Opportunity (EEO) counselor within 45 days of a discriminatory act, rather than the 300 days (or 180 days) afforded to private employees in Colorado. Throughout the process, federal employees are often given the option of Alternative Dispute Resolution or mediation opportunities. Making sure your unique situation is expressed in an effective manner. Complaints of Prohibited Personnel Practices can be filed with the U.S. Office of Special Counsel (OSC), which investigates and prosecutes those complaints. Limitations on what actions they can bring, due to the Colorado Governmental Immunity Act. Under the Colorado Governmental Immunity Act, non-federal, public employees in Colorado are barred from bringing many basic tort claims against the state, county, or city for whom they work. Colorado State, county, and city employees also do not have the same rights under the Colorado Wage Act that private sector employees have. Colorado state employees wishing to bring certain state legal claims against their employer must first exhaust their administrative remedies by filing a claim with the State personnel board. Colorado State employees who are certified, or no longer probationary, may only be disciplined or terminated for “just cause.” In other words, they are no longer “at will” employees. 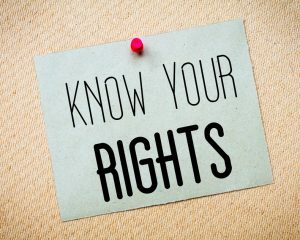 Because certified employees are not at will, they are entitled to due process evidentiary hearing before the State, which can adversely affect their current base pay, status, or tenure. File whistleblowing complaints with the Board. A more specific set of rules apply to Colorado public sector educators, pursuant to the Teacher Employment, Compensation, and Dismissal Act of 1990. Going through state or federal administrative procedures can be difficult and time consuming. An experienced Denver employment law attorney at Lohf Shaiman is ready to make sure you understand your legal rights and to assist you in asserting your legal rights. For more information, see coloradoemployeerights.com or for legal assistance contact Denver Employment Law Attorney Lynn D. Feiger or Justin Plaskov at lohfshaiman.com or 303 753 9000.